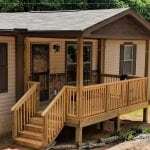 We are the perfect team to provide decking solutions for your home in Asheville. If you live in the Asheville, North Carolina area, then you already know that having a great view is one of the most coveted things to have in a home. 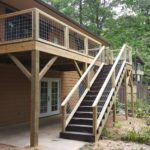 If you live in a spot that has great potential, but you can’t really get the full view of the mountains that you love from the ground, adding a deck may be just the solution you’re looking for. 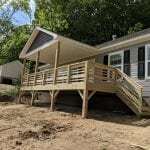 At Pegram Builders, we know it isn’t just the addition of a deck that makes a difference in your outdoor living arrangement, but also in the quality of the decking materials and construction. With our nearly 20 years of experience in the construction and home building industries, we believe we are the perfect team to provide decking solutions for your home. 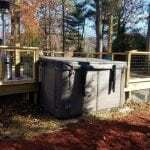 The home improvement solutions you need with great results. 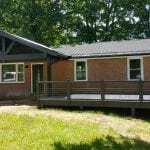 At Pegram Builders, we are passionate about seeing the projects people have been dreaming of come to life. 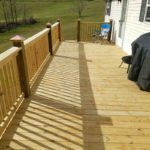 We get excited about seeing our happy customers enjoy the results of their new decking installation or other home improvement project. 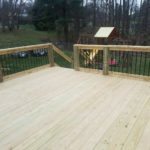 If you have questions about adding decking to your home or you would like to schedule a consultation, reach out to our responsive team to discuss your vision. We look forward to becoming your winning team! 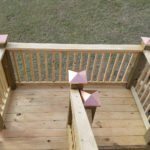 At Pegram Builders, we offer decking services in Asheville, Candler, Canton, Clyde, Waynesville, Weaverville, Fletcher, Arden, Hendersonville, Mills River, Black Mountain, and surrounding areas in North Carolina.